Bonus: Includes tropical breakfast daily, free use of snorkelling gear, kayaks, sun loungers and beach towels. Honeymoon couples receive a bottle of bubbles on arrival. NOTE: Two Bedroom Beachfront Villa bedding is 2x King or 1x King & 2 x Single beds. Includes: Tropical breakfast starter pack on arrival (consists of cereals, bread, butter, spreads, fresh fruit, milk and juice), welcome juice on arrival and complimentary use of snorkelling gear & kayak equipment. NOTE: Three Bedroom Riverside Villa bedding is 2x King Splits & 2 x Single beds. Escape to our intimate and multiple award winning hideaway nestled on the best part of the stunning Titikaveka Lagoon, far from the maddening crowd. Indulge in our spacious and luxuriously appointed Villas, including your very own private pool. Swim and snorkel off our secluded beach. 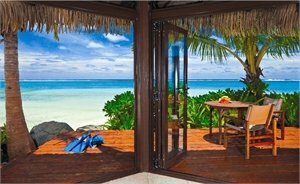 NOTE: Children 16 years and over are welcome at this property, and can stay in One & Two Bedroom Lagoon Villas, a charge applies. 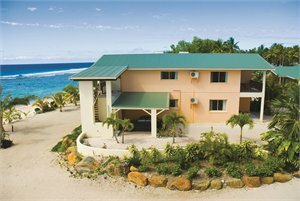 Includes: Complimentary return airport transfers, a bottle of wine and beers in fridge on arrival, welcome breakfast starter pack, use of kayaks, bicycles, snorkel gear, stand up paddle boards, use of extensive DVD and CD library. Bonus: Stay 2 additional nights for the price of 1.
free beachfront snorkelling & tennis courts, swimming, spa facilities and an extensive cultural programme including a staff market each Wednesday. The action packed Coconut Kids Club, children's playground and themed playrooms will keep children entertained and busy . NOTE: Three Bedroom Garden/Beachfront Villa Bedding is 2x Queen & 2 x Single beds OR 6x Single beds. Includes: Tropical breakfast daily, free use of snorkelling equipment, tennis courts and equipment, a daily on-site cultural activities programme and Free use of Coconut Kids Club for children 4-12 years and under (conditions apply). Offering a blissful beachfront experience, with sweeping lagoon and ocean views, this gated duplex sanctuary consists of four spacious two-storey, two-bedroom apartments wrapped around an impressive infinity pool that flows endlessly towards the tranquil clear waters of Muri Lagoon. 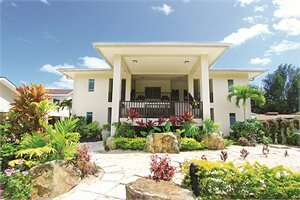 This stunning property which has been built to a wonderfully high specification, with beautifully fitted interiors that exude the essence of a relaxed tropical escape. NOTE: Children 12 years and over are welcome at this resort. Includes: Welcome fruit platter upon on arrival, complimentary mask and snorkel use, Wi-Fi starter voucher and kayak hire vouchers. 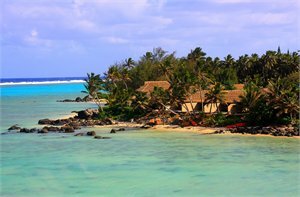 Includes: Free use of kayaks, snorkelling gear, sun loungers and beach towels PLUS use of facilities at Pacific Resort Rarotonga which includes free scheduled daily activities at the Beach Hut, free garden tour and free introductory scuba diving sessions in the pool. 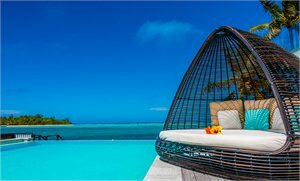 Bonus: Receive a complimentary snorkelling cruise for two on the Pacific Resort Rarotonga's 'Moana Roa' glass bottom lagoon cruiser & complimentary bottle of wine on arrival. PACKAGE TERMS & CONDITIONS: It is our policy to present the cost of our holidays inclusive of all airport and government charges. Please accept however that these charges are not within our control, therefore we reserve the right to pass on any increase.. Travel agent professional service fees where charged, will be additional to the advertised prices. Closeout and blackout periods apply over school holidays and peak holiday periods & availability of seats & rooms is likely to be very limited over this time . Payment & ticketing deadline - no more than 7 days after reservation confirmation (excluding NZ7000 series operated by Virgin Australia and DJ8000 series which must be ticketed within 24 hours of PNR creation). Payment & ticketing deadline - no more than 7 days after reservation confirmation. If booking is made within 14 days of departure ticketing must be completed within 48 hours of reservations. Prices are based on direct flights unless stated otherwise. Payment & ticketing deadline - no more than 7 days after reservation confirmation. *Child prices are based on one or two children of 2-11 years sharing a twin room with 2 adults (varies by property and room type). Valid for sales to 31 Mar 2020. Valid for travel commenced and completed within the period 1 Apr 2019 to 31 Mar 2020 (unless otherwise specified). Min 2 nights/Travel must be completed by 31 Mar 20.Prices are ex Auckland. 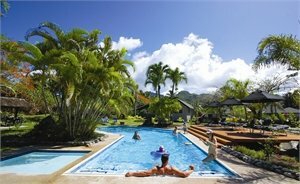 For departures ex Wellington please add $169 per adult and add $169 per child. For departures ex Christchurch please add $169 per adult and add $169 per child. Book Air New Zealand K Class 'Seat + Bag' airfare ex Auckland. Book Air New Zealand L Class 'The Works' airfare ex Auckland. Book Air New Zealand V Class domestic within New Zealand. Routing: CHC/WLG (NZ)-AKL-RAR (NZ) and v.v Upgrade to "The Works" from $55 per person return ex Auckland. Quad pricing is based on 4 adults sharing the villa/apartment. New Zealand School Holidays travel dates have been closed out on this flyer, travel over these periods is subject to availability, ask a consultant for a quote. Villa accommodation is subject to availability. Pricing correct as at 09 Nov 18. AFC: K Class 'Seat + Bag' Opt In-E1 / Opt Out-GC. L Class 'The Works' Opt In-E3 / Opt Out-FF. Important: An additional airfare surcharge of $11 per person each way applies to travel in either direction on Friday, Saturday or Sunday Prices shown are based on per person costs in New Zealand Dollars, for payment by cash, cheque or eftpos only. Credit card sales not permitted unless Travel Agent acts as a merchant. Capacity limitations apply and may not be available on all services. Travel requiring an overnight stay in New Zealand will be at passengers own expense. Events beyond our control such as currency fluctuations and changes to the price of aviation fuel may result in prices variations . Strict cancellation fees apply. Packages are based on consecutive nights. For split stays please contact your travel consultant. These airfares are not eligible to accrue Airpoint Dollars. They are not upgradeable using airpoints and no Airpoints Companion tickets may be purchased in conjunction with these fares. For full terms and conditions and cancellation fees please contact your local travel agent for more information. Trade enquiries via GO Holidays. ISSUE DATE: 09 NOV 18.